The Chinese Red Cross, through the Chinese Embassy in Malawi, has donated K36 million kwacha in aid of flood victims. Chinese Charge de Affairs in Malawi, Wang Xiusheng, presented the K36 million cheque through the Ministry of Foreign Affairs at Capital Hill in Malawi’s Capital Lilongwe. Speaking at the event, Xiusheng said people from China are concerned with how the floods have affected lives in some districts in Malawi. “More donations amounting to K30 million are expected to come from contributions of Chinese business people who are plying their trade in the country. “Let me assure the Malawi government that the Chinese government will continue to help flood victims as, as I am speaking, about 2,000 bags of rice have arrived in the county and we will soon be able to distribute them as soon as possible,” Xiusheng said. Secretary for Foreign Affairs, Ben Botolo, said the donation would go a long way in bailing out flood victims. “The government appreciates the response of development partners and all well-wishers to the floods crisis, hence every donation is welcome,” Botolo said. He said there is need to support people in flood-hit areas to prevent water-borne diseases. 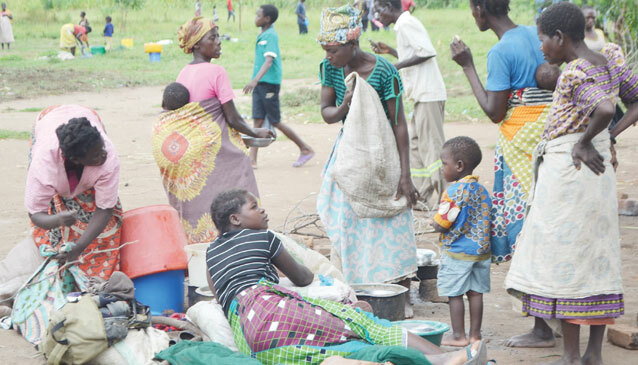 The devastating floods swept across 13 districts in Malawi, more especially in the southern part of the country, killing 56 people and livestock and damaging property and crops on numerous hectares of farmland.